But with British politics deep in uncharted waters, even that has been postponed. 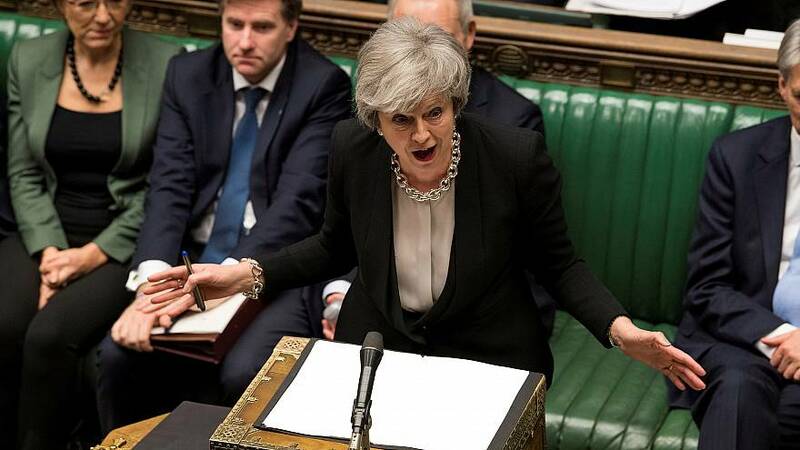 Because of an 11th-hour extension agreed by Prime Minister Theresa May and European leaders last week, Brexit won't happen until at least April 12. On Monday, the European Commission said it was "increasingly likely" the U.K. will crash out of the E.U. without a deal. A "no-deal Brexit" does have some supporters, but many experts see this as a nightmare scenario that could blight the economy and bring shortages of food, medicine and basic supplies. To prepare for this possibility, the British government has put some 3,500 military personnel on standby, and a crisis-management team has begun operating out of a nuclear bunker beneath the Ministry of Defence, Sky News reported last week. 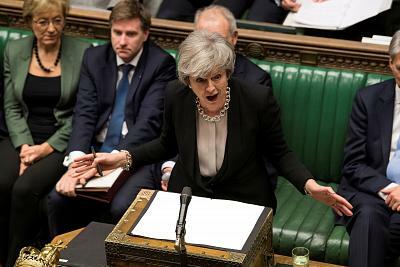 Meanwhile, lawmakers of all stripes are planning an attempt later Monday to seize control of the Brexit process from Prime Minister May, whose own deal has been crushed twice by the House of Commons. These Members of Parliament will vote on an amendment to take control of Parliament business Wednesday so they can gauge the support of a range of different ideas. It's not clear exactly how this process would work but the general idea is that lawmakers would submit a list suggestions, known as "indicative votes." Options might include: the prime minister's deal, a no-deal Brexit, a second referendum, canceling Brexit altogether, or more or less extreme plans than the one May has already negotiated. Meanwhile, May appears weaker than ever. And yet — as with all the other reports of her imminent downfall over the past few months — she hangs on to power. Another, The Daily Telegraph, hosted an op-ed by New York-born British lawmaker Boris Johnson telling the prime minister to stand down because she had "chickened out" by postponing Brexit rather than taking the U.K. out of Europe at the planned date. If pro-Brexit forces were flexing their muscles behind the scenes, Britons who are against leaving the E.U. made their feelings know more publicly. On Saturday, as many as 1 million demonstrators took to the streets of Londonto call for a second referendum. Almost 5.5 million have signed a petition on Parliament's website to cancel Brexit altogether.